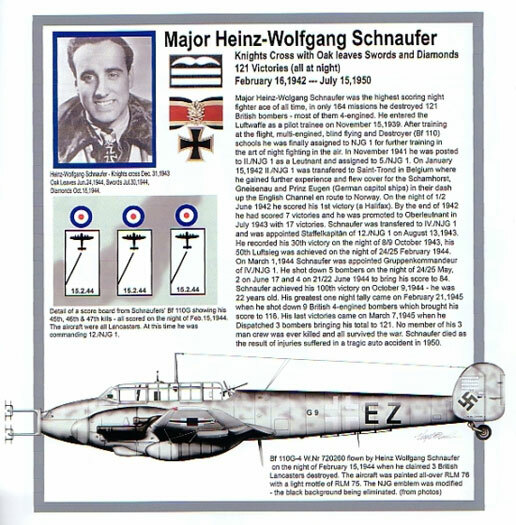 Description and Publisher’s Details: "Luftwaffe Aces – 2006 Calendar Ghosts of the Night"; self-published by Virgil O’Neil . Advantages: Excellent biographies, superb profiles, compact size for desk use. 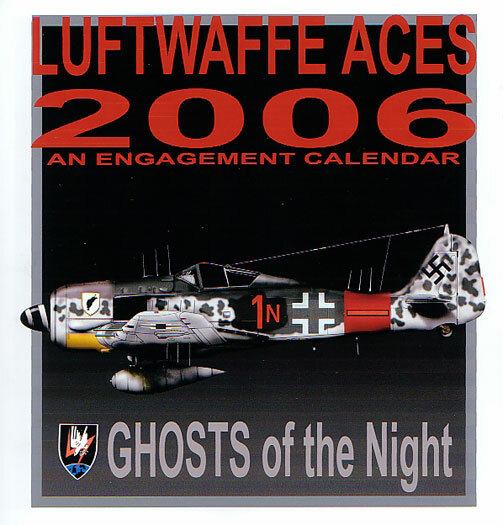 Now here is a nice Christmas gift for Luftwaffe enthusiasts…your very own 2006 calendar of Night fighter Aces. There are eighty five spiral bound pages, one hundred if you include the images. These latter items consist of both paintings, and profiles with biographies. The spiral binding is for easy use and the compact size allows it to reside on the desk for painless viewing. Don’t let the 8.5” x 8.5” (21.5cm x 21.5cm) dimensions fool you, the artwork is still impressive. 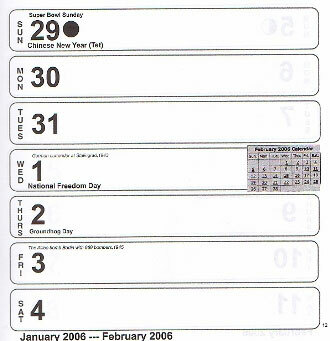 The calendar itself is set out with one week per page, with various “occasions” highlighted where appropriate. For example on 22 June we read the following entries “France surrenders to Germany, 1940”, and “Germans invade Russia (Operation Barbarossa), 1941”. On the 24 June attention to drawn to Schnaufer’s award of the Oak Leaves in 1944, and so on. Each month starts off with a calendar representing the full 28, 30 or 31 days as appropriate. The book then proceeds with one week allocated to each page. Public holidays (applicable to the US of course) and days of remembrance are noted, and for the werewolves amongst us, the various phases of the moon are also pointed out. What make this “book” such an eye catcher are the colour pages. There are twenty four, broken down into pairs that are allocated to each month. These pairs consist of a biography on the ace, and a painting of an action he participated in. The former sees a photo of the pilot in question as well as a rendition of the aircraft he flew. By necessity some of the schemes are speculative, but the author does a good job of providing an approximation. The paintings done by the author are actually “photo composites”. He uses a combination of digital photography and a graphics program to create the final product. The results are very good and provide an excellent complement to the biographies. 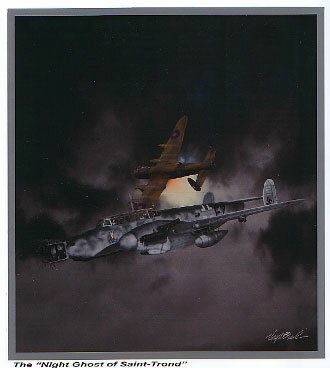 If you are a Luftwaffe fan and want a calendar that that relates to your hobby, then this is it. It’s a nice way to give yourself inspiration while checking to see if your daily schedule will allow such musings.